New research into insider threats reveals that 24 percent of UK employees have deliberately shared confidential business information outside their company. 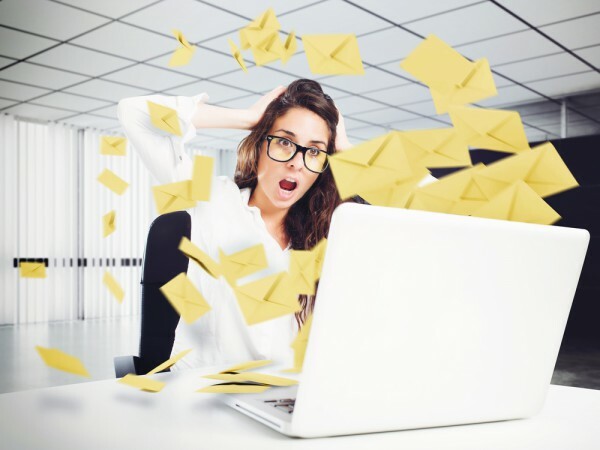 The study from privacy and risk management specialist Egress Software Technologies also shows that almost half (46 percent) of respondents say they have received a panicked email recall request, which is not surprising given more than a third (37 percent) say they don’t always check emails before sending them. The survey of 2,000 UK workers who regularly use email as part of their jobs shows the biggest human factor in sending emails in error is listed as 'rushing' (68 percent). However alcohol also plays a part in eight percent of all wrongly sent emails -- where are these people working!? Autofill technology, meanwhile, caused almost half (42 percent) to select the wrong recipient in the list. Of those who had inadvertently sent an email to the wrong person, 40 percent accidentally insulted the recipient or included rude jokes, swear words and even risqué messages. Critically, almost one in ten (nine percent) have accidentally leaked sensitive attachments, such as bank details or customer information, putting customers and their own organizations at risk. "Email is frequently misused by the UK workforce," says Tony Pepper, CEO and co-founder of Egress. "While offending an accidental recipient may cause red faces, leaking confidential information can amount to a data breach. As we move towards the EU General Data Protection Regulation, it has never been more important to get a grip on any possible risk points within the organization and, as this research shows, email needs serious attention." To tackle the problem of email misuse, Egress is launching Switch Threat Protection. This uses machine learning and big data analysis to learn from usage patterns and historic email interactions, and alerts users when they attempt to do something unexpected, whether it’s sending sensitive content to an external domain or adding the wrong person to a group email thread. You can find out more on the Egress website.